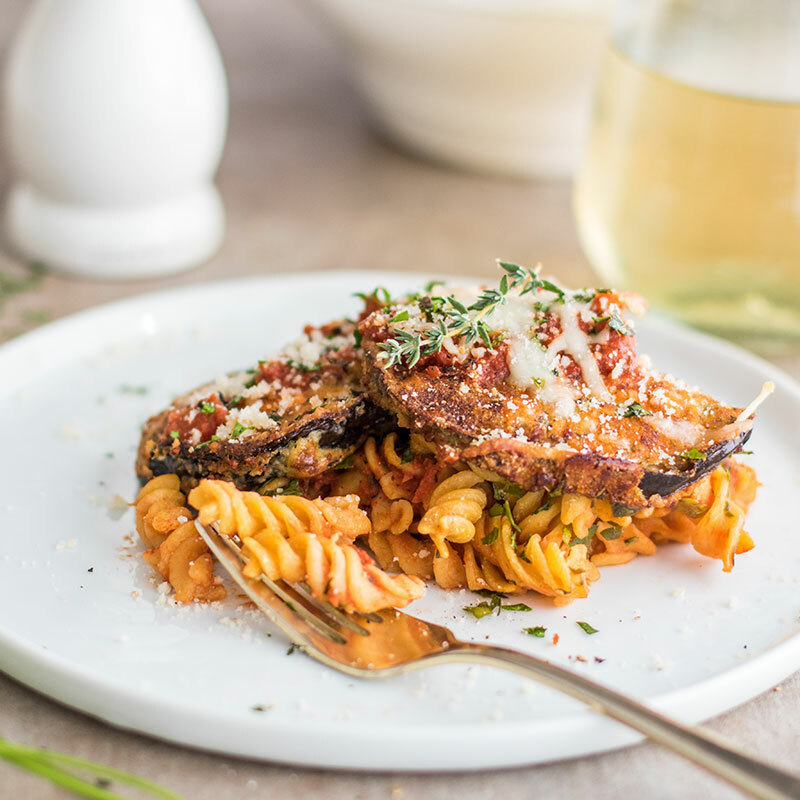 This delicious Baked Eggplant Parmesan Pasta is one of the best things to come out of my kitchen this year! I’ve always been intimidated by eggplant – if not cooked correctly, it can be pretty tough. Eggplants are little sponges, so the traditional fried version is extremely greasy. This recipe is so easy, it will be sure to be a family favorite!